Be the first to share your favorite memory, photo or story of Francis "Franco". This memorial page is dedicated for family, friends and future generations to celebrate the life of their loved one. 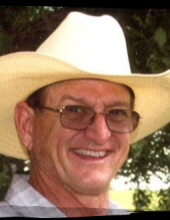 Francis “Franco” Owens, 65, of Webster City, entered his eternal home in heaven Friday, February 1, 2019, at the Paula J. Baber Hospice Home. Visitation will be from 5-7 p.m. Wednesday, February 6 at Boman Funeral Home, Webster City. Funeral services will be 10:30 a.m. Thursday, February 7 at Grace Evangelical Free Church in Eagle Grove, with burial at Cass Center Cemetery in Webster City. The family has chosen Boman Funeral Home (www.bomanfh.com) to care for their needs. Francis Ray Owens was born October 2, 1953, in Cedar Rapids, IA to Gaylord and Nola Owens. He graduated from Lisbon High School in 1972. He attended Kirkwood Community College and Moody Bible Institute. He married Peggy Gordon on September 12, 1987, in Cedar Rapids, IA. Franco worked for 10 years on a sod farm in Cedar Rapids before moving to Webster City in 1991 to farm with his father-in-law. He was active in his church, serving as a Sunday School teacher and elder. He served on the Iowa Corn Growers board and was a 4-H leader. Franco is survived by his wife Peggy, children Andrew of Ames, Amy and Preston Baker of Boone, and John at home. He is also survived by his parents Gaylord and Nola of Lisbon, IA, and siblings Dean (Linda), Jerry (Linda), Melissa, Marilene (Rick) Julich, George and Joe, parents-in-law Virgil and Mary Lou Gordon, sisters- and brothers-in-law Nancy (Calvin) Poppe, Barb (Erv) Mussman. Franco was preceded in death by his brother Bob. To send flowers or a remembrance gift to the family of Francis "Franco" Owens, please visit our Tribute Store. "Email Address" would like to share the life celebration of Francis "Franco" Owens. Click on the "link" to go to share a favorite memory or leave a condolence message for the family.